Set off on a time-tripping adventure to the medieval past to face fantastical foes and solve a mystery of legends and magic! Featuring a hilarious storyline, eye-popping visuals and thrilling minigames, New Yankee in King Arthur's Court 4 is Sir John's biggest, boldest adventure yet! 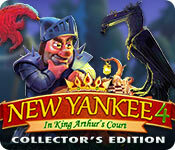 New Yankee in King Arthur's Court 4 Collector's Edition is rated 4.3 out of 5 by 21. Rated 5 out of 5 by Alexiell from Good game with great challenge ! Review based on entire game including bonus chapter in expert mode. 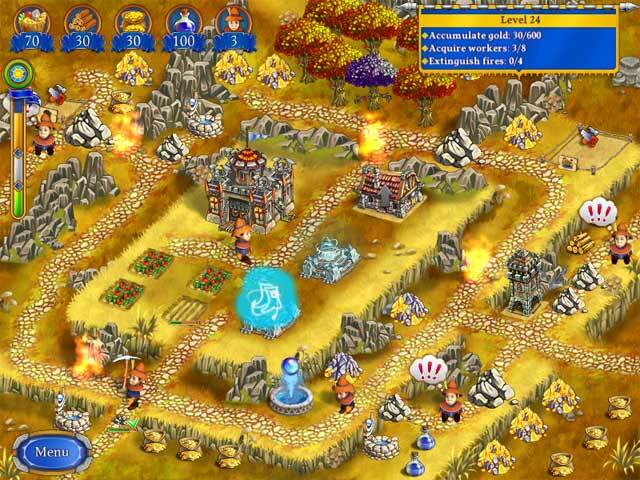 This is the perfect game for those who want some strategy ! The challenge is what i need in those kind of game and rarely they offer it. The story is also funny with fun twists and cute characters. 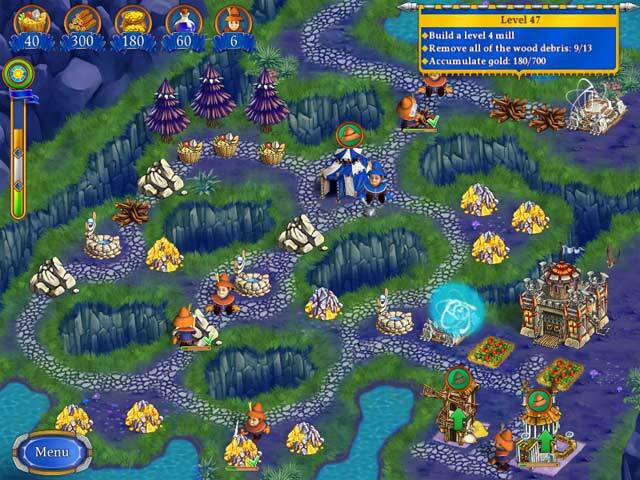 The game mechanics work well and smoothly. The design is not the best but the cartoon style suit well this kinda game. The bonus levels are super fun but the rest of the stuff didn't interest me - they should release it in standard only ! Happy Gaming ? Rated 5 out of 5 by bambibates from Finally found a replacement game!! I was hooked on the Incredible Dracula game series...own all of them except 5...I couldnt find anything else I enjoyed till I came across this series...I adore them!! My aim is to own all of them!! Thanks!! Rated 5 out of 5 by joannes0 from Great Game Great game, easy play with enough challenge without being impossible, fun characters and interesting storyline. Loved it! Rated 5 out of 5 by QueenJane100 from Excellent Game, Nicely Chappenging Not crazy challenging, could have been tougher but not a cake walk either. Had fun with it. Would recommend. Rated 5 out of 5 by Royental from Well done! Based on the trial I may to say that it's excellent game with good challenge. I hope the previous games of this series are also fun, but unfortunately I didn't find part 3 anywhere. Rated 5 out of 5 by Attenboro from Please, more games like this Perhaps, this is one of the most delicious TM in the Bigfish menu. Exciting challenging levels are flavored with original humor and served with spicy minigame sauce. My compliments to the Chefs! Highly recommend. Rated 5 out of 5 by Doylescat from Best game in a long time I loved this game so much I played it twice in a row. It is a good paced game where you need to think. To get gold in all levels sometimes you have to not free some of the people or build some factories or clear some obstacles. You need a strategy and I love that. Rated 5 out of 5 by Tiph56 from At least, a challenging TM games ! Please, excuse my poor english. Yes ! At least, a challenging game ! This is exactly what I am expecting from a TM game. 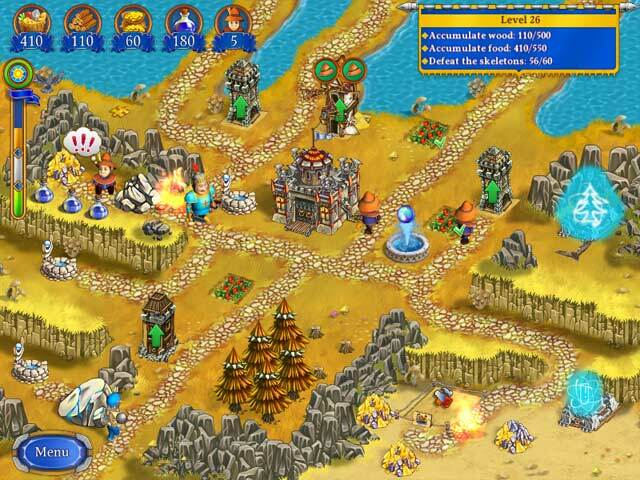 No need to foolishly upgrade all the buildings, player has to think to get 3 stars (especially during the bonus levels). I have been disappointed recently by most of the TM games, which were too easy, so playing this one was a pleasure ! Rated 5 out of 5 by gamenotworking from Love the level of challenge Great game. Really enjoyed it. Set off on a time-tripping adventure to the medieval past in this time management adventure!